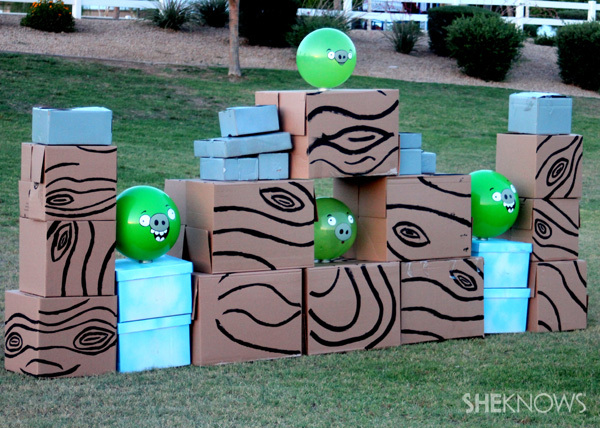 We made a life-size Angry Birds game because why not?! Brace yourselves, Angry Birds fans. The movie will hit shelves on Blu-ray and DVD on Aug. 16 — complete with four little shorts about the hatchlings — and you’re about to go from obsessive game playing to obsessive movie watching. But in case you need a little extra something to get excited about your return to Big Island, or just something cool to do this summer that will make the neighbors jealous, we’ve got you covered. Ever wondered… what if this game came to life? We did! 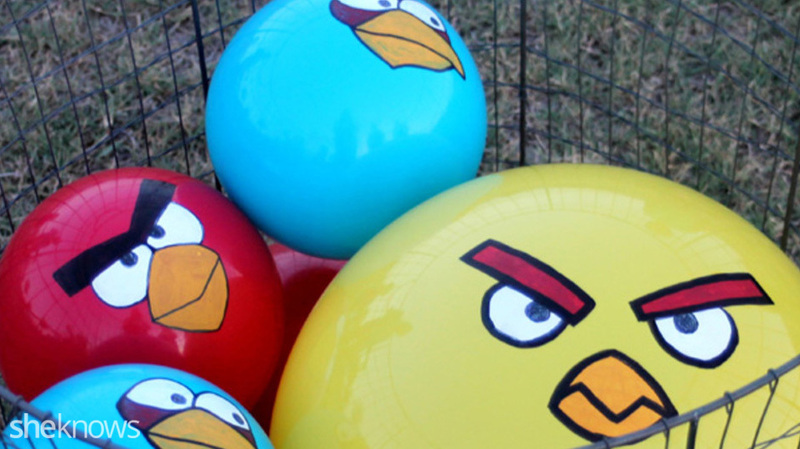 It turns out creating a life-size Angry Birds game is actually easier than you might think. Just try these handy pointers, and you’ll be launching those birds before you know it. 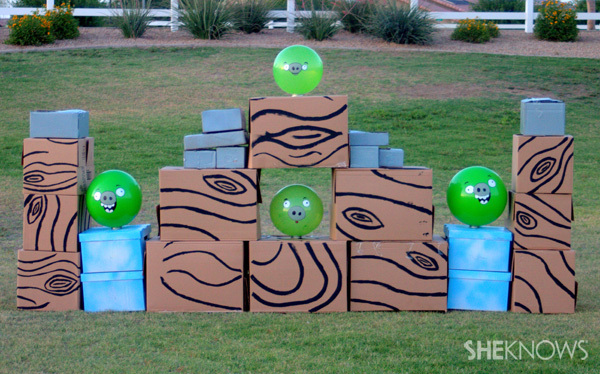 If you’re in need of a creative game for an outdoor get-together, then start stashing those boxes away now. Life-size Angry Birds is an inexpensive game that is fun for the whole family, and the best news is that it doesn’t cost hardly anything at all! Creating the platform for your game is the easiest part. To do this, simply collect boxes or purchase moving boxes from your local superstore. On average, moving boxes cost around $1-$2 each, so picking up a handful of them is still very budget-friendly. Here we’ve shown a combination of different types of boxes collected over time. They include paper-pallet boxes from the office, shipping boxes from our latest Amazon purchases and, yes, we even used a few cereal boxes to make our Angry Birds game. Once you’ve collected enough boxes, decide which boxes will become the various pieces of your game. Use the white and blue spray paint to turn some of the boxes into ice-cubes and your gray spray paint to turn smaller boxes into stones. Then to bring it all together, use black acrylic paint to draw wood-grain designs onto the remaining boxes.